The spectacular Apuan Alps that can be seen from the sea, showing the way to Tuscany, are the northern part of the Tuscan Apennines, bounded northwest by the Magra river (Lunigiana) east by the river Serchio (in the region of Lucca) and south-west by the Apuan Riviera (Versilia). They are generally white and look covered in snow even in summer, but these mountains are actually not so high, and their bright whiteness at the top is most of the time only marble. 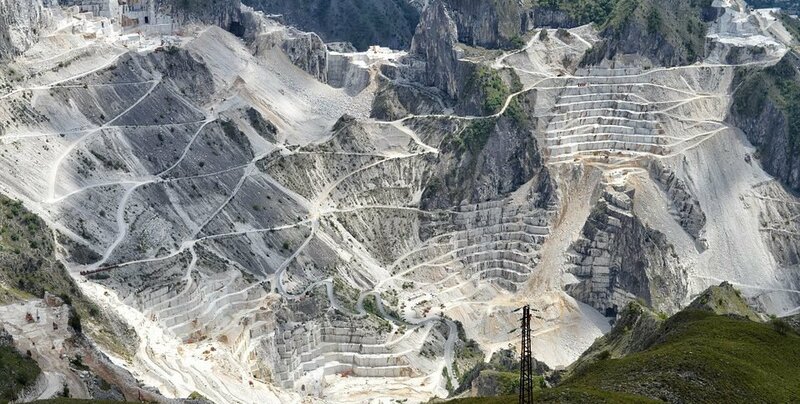 These are the Carrara marble quarries, from which the most valuable white marble in the world is quarried since ancient Roman empire times. The “Alps” awe their name to the Apui strain of the Ligurians, indigenous population of the whole area. As for the concept of “Alps”, it is a name given to the mountains for their resemblance with the Italian alpine mountain range and its angular and rugged character, hard to climb. The Romans developed the mining activity, and from the time of Julius Caesar (48-44 BC) the Carrara quarries supplied the blocks of white marble for the major public buildings in Rome and several patrician houses. The export went through the port of Luni, hence the Roman name of Luni marble. With the Christianity marble was required in large quantities for the construction of religious buildings and their interior decor. The activity of the quarries was particulary fervent during the Renaissance when Michelangelo came here personally to see in the marble his sculptures to be: for the artist, the work of art would start in the cut of the raw material in the quarry. 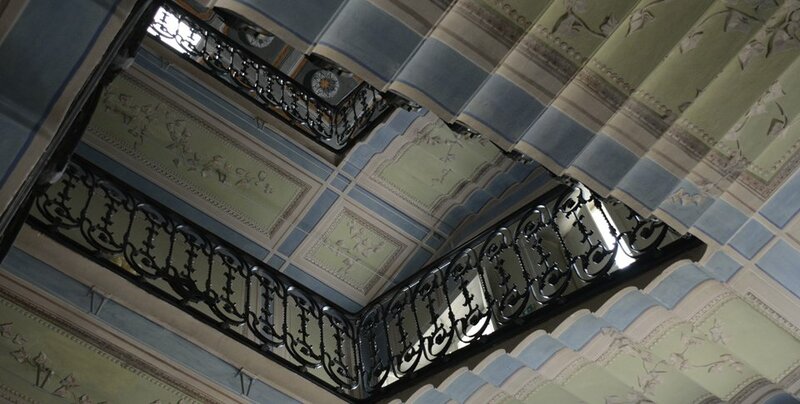 Today, the visits of the Carrara marbe quarries in the basins of Torano, Fantiscritti and Colonnata are unforgettable and unique: along the route of the former Marble Railway, visitors can do a spectacular journey through the striking tunnels dug into the rock. It is also possible to learn the ingenious and dangerous ways the marble was carried to the valley along the carriage ways.